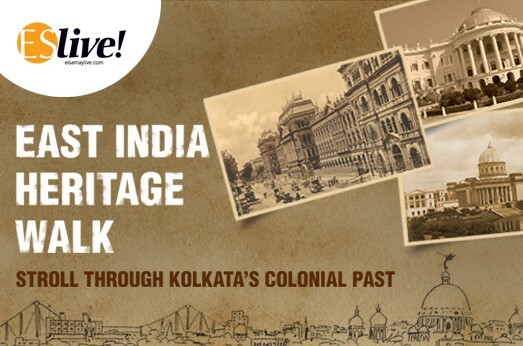 East India Heritage Walk - Welcome To ES Live! From Afghanistan to Hong Kong, the eastern wing of the British Empire was head quartered right here in Calcutta. The very heart of this was Dalhousie Square – from the nerve centre at Writer’s, to the financial centre at the Currency Building, the gigantic rail wing was controlled from the Eastern Railways HQ, the Governor General lived at Raj Bhawan, the main church was St. John’s, the drinking water supply was Lal Dighi. As a consequence of the HQ being at Dalhousie, the square has a number of firsts – India’s first gas powered street lights, later, the first electric street lights, the first ATM, first Tram, the first Rail network, first Metro, Calcutta was the city of firsts! – St. John’s Church and many more….